In the charmingly cluttered Athens, examples of glorious neoclassical architecture provide insights into monumental events in Greece’s history since its independence. 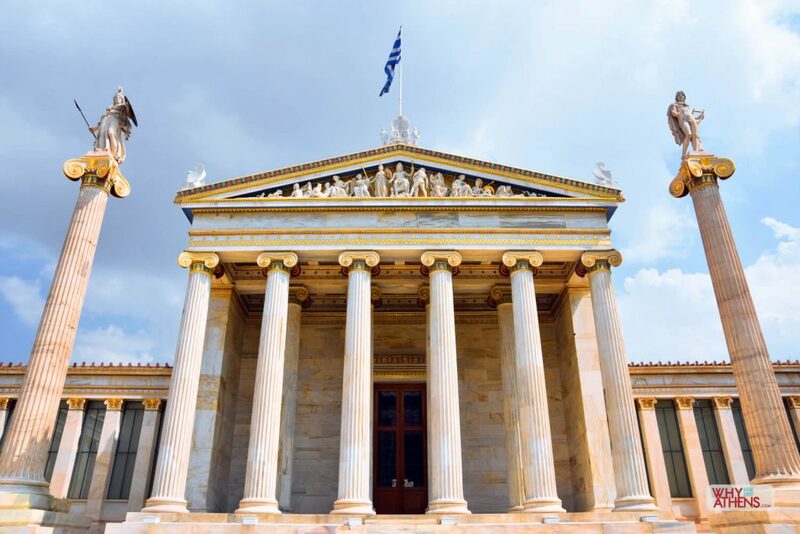 A walk through central Athens uncovers some of the city’s most beautiful neoclassical buildings. 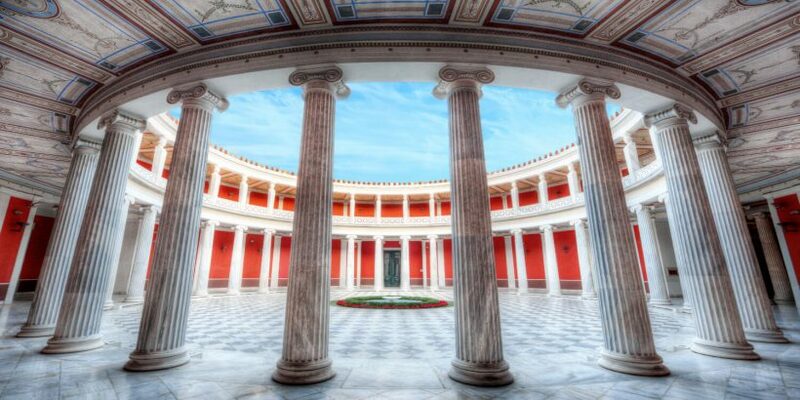 One of the most important buildings in Athens, the neoclassical Zappeion Hall is closely linked to the history of modern Greece. 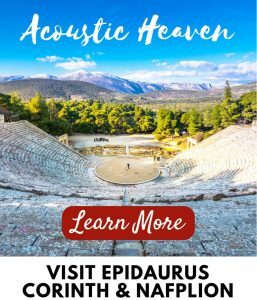 Its construction was funded by national benefactor, Evangelos Zappas and was completed in 1888. It was the first building in the world specifically constructed to serve the Olympic Games. After a series of misadventures, Zappas assigned the design to the Danish architect Theophil Hansen but did not live to see the building completed. 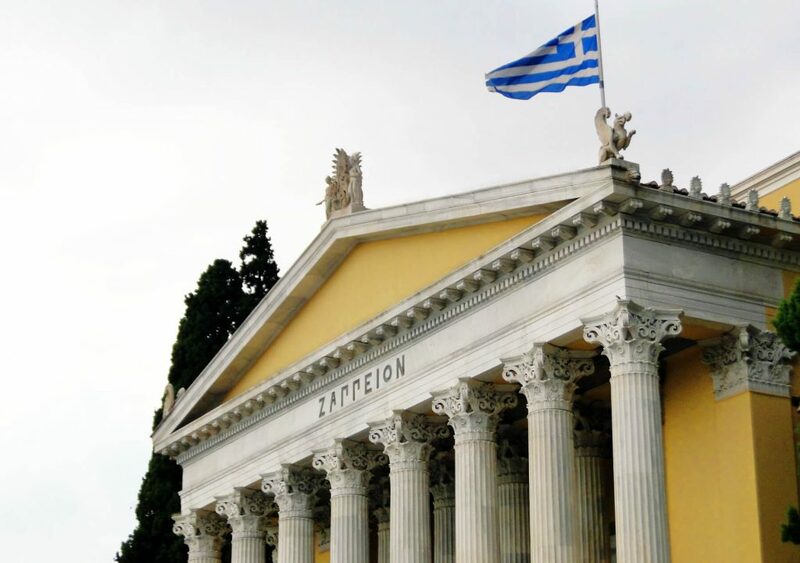 The Zappeion Hall was put to many uses and for some time, hosted the country’s first state radio station, which began broadcasting in 1938. 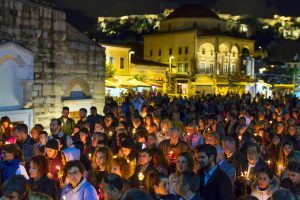 It has been linked with numerous significant moments in the country’s history, including the signing of the treaty for the accession of Greece to the European Union (then the EEC) on 1 January 1981 by Konstantinos Karamanlis. 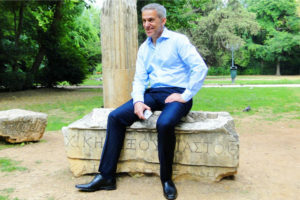 Since Greece’s return to democracy in 1974, Zappeion has served as the press centre in all of the country’s general elections, providing the setting for the post-election interviews of winners and losers alike. The hall is currently used as an exhibition and congress facility. 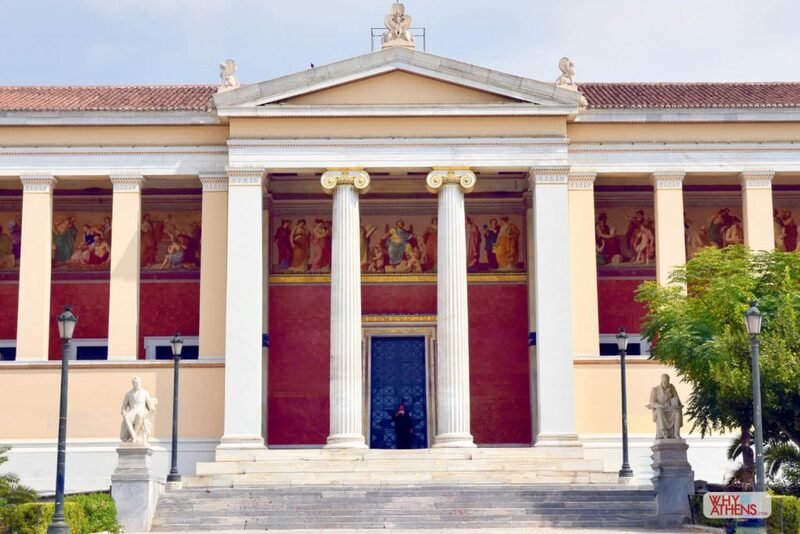 The Triptych (Library, University and Academy or trilogy as they are also known) are regarded as the city’s most beautiful buildings, in part because of their linear position, extending over three blocks in central of Athens. On the left, the National Library of Greece was founded by Ioannis Kapodistrias, the first governor of the modern Greek state. The building was designed by the Danish architect Theophil Hansen, the cornerstone was laid in 1888 and construction was supervised by Ernst Ziller. 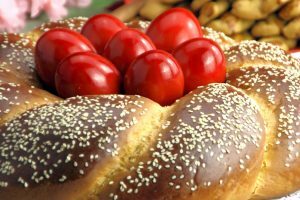 The project was funded by the Vallianos brothers, Panagis, Marinos and Andreas from Kefalonia. The National Library has now been relocated to the Stavros Niarchos Foundation Cultural Centre. In the middle, stands the National and Kapodistrian University of Athens designed by Christian Hansen (Theophil’s brother). 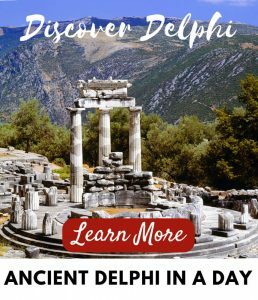 The foundations were laid in 1839 and completion of the building involved the contribution of notable Greeks, philhellenes and state leaders. 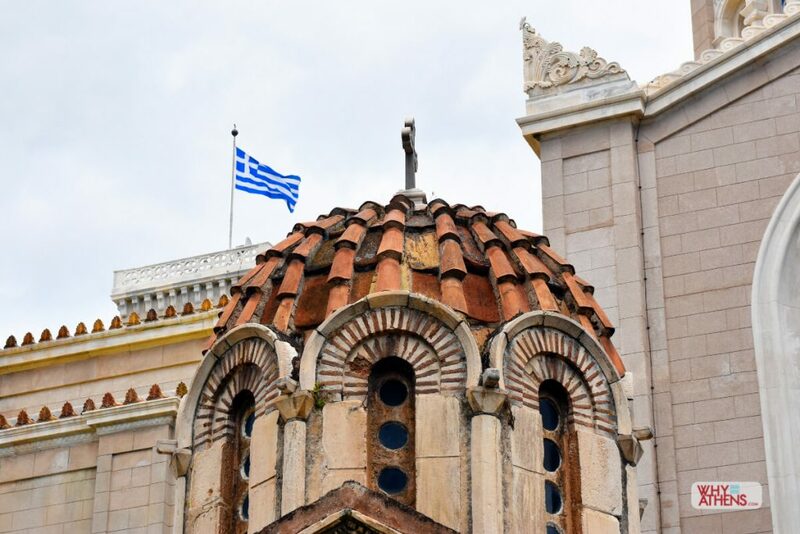 The facade of this splendid building has accommodated statues of prominent figures from the Greek War of Independence, including Rigas Feraios, Patriarch Gregory V, Adamantios Korais, Gladstone and Ioannis Kapodistrias, as a tribute for their role in the Greek cause. Today, the building hosts the official graduation ceremonies of the university’s students. On the right, the neoclassical building of the Academy of Athens was constructed several decades before the Academy itself was founded. In 1856, the national benefactor Simon Sinas made a substantial donation to the Greek state. The design was assigned to the Danish architect Theophil Hansen and the cornerstone was laid in 1859, in a splendid ceremony attended by King Otto. The building was finally delivered to the then Prime Minister Charilaos Trikoupis by the architect Ernst Ziller. It is considered by many as the most important of Hansen’s works and one of the most beautiful neoclassical buildings in the world. 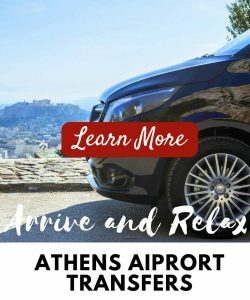 The design was inspired from the classical architecture of Athens in the 5th century BC, as seen in the Acropolis monuments. The residence of Othon and Athina Stathatos on the corner of Vassilissis Sophias Avenue (then Kifissias Avenue) and Irodotou Street was built in 1895 and continued to serve as a residence until 1937. After accommodating clubs and embassies for many years, it was bought by the Greek State in 1982 to house visiting royalties and state leaders but was never used for that purpose. 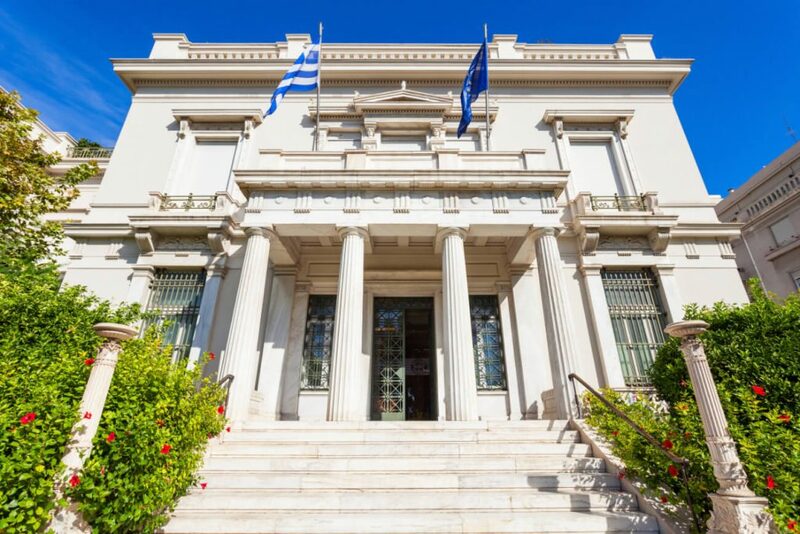 Thanks to the efforts of distinguished art collector Aikaterini Goulandri to call attention to the lack of exhibition sites in Athens, the building became part of the Museum of Cycladic Art, opened in 1986 by the then Minister of Culture Melina Mercouri. Designed by Ernst Ziller, the building with its magnificent gardens on Irodou Attikou Street was initially intended as the Crown Prince Constantine’s palace and its construction began in 1891. The building was used as the residence of the royal family until 1924, when a republic was proclaimed. It subsequently became the government’s headquarters and accommodated presidents of the republic until the restoration of the monarchy in 1935. The last royalty to use the building was another Constantine, the ex-king of Greece, who stayed in the palace with his consort, Anna Maria, until they fled to Rome during the dictatorship. 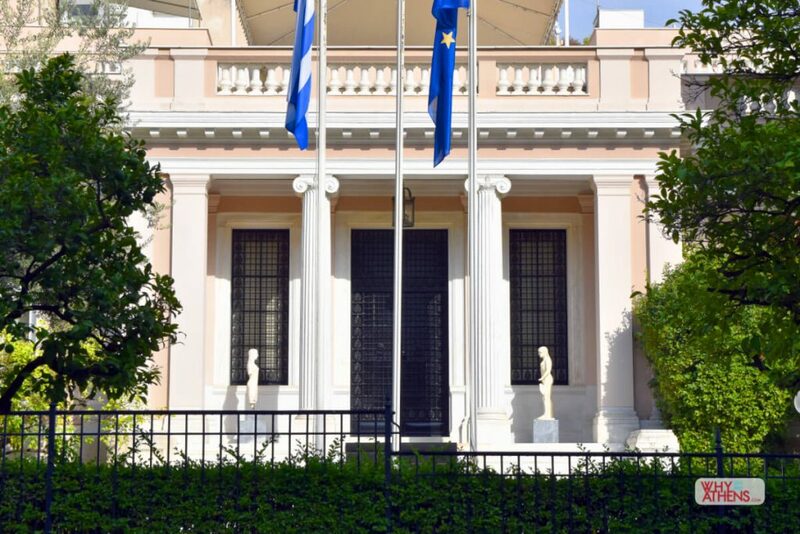 Since Greece’s return to democracy in 1974, the building has been used as the Presidential Mansion and residence of the President of the Republic. In 1856, the field in which this mansion stands belonged to the brothers Angelos and Argiris Karagiannis. 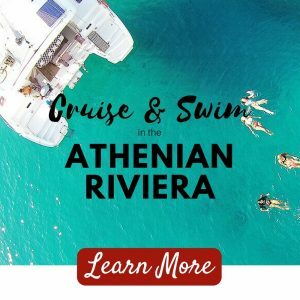 The foundations were laid in 1912 and after changing several owners, the building once again came into the hands of banker Dimitrios Maximos, Prime Minister of Greece in 1947. 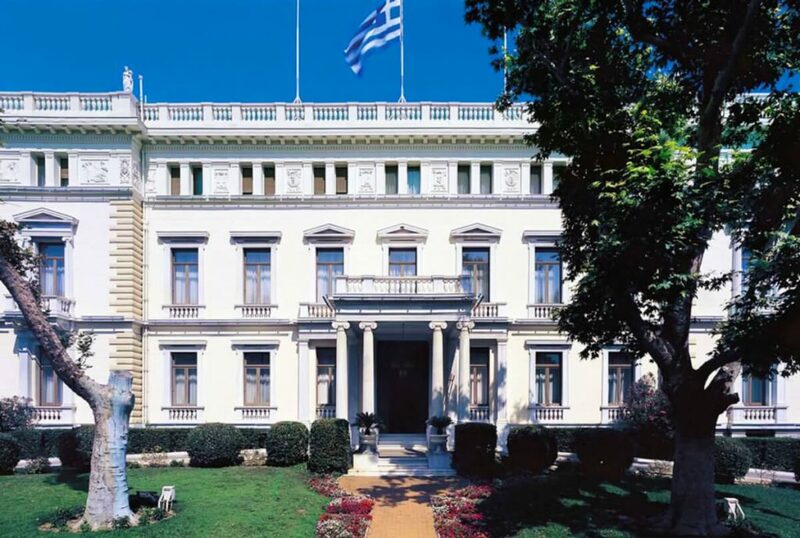 In 1952, the Greek State acquired the mansion for 5.5 billion drachmas, almost half its estimated value. 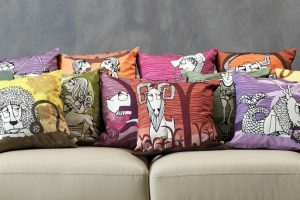 Maximos also included the furniture of his residence in the sale, along with his painting collection. To thank him for his generosity, the government announced that the building would retain its initial name, ‘Maximos Mansion’. During the dictatorship, the mansion became the residence of Georgios Zoitakis, regent of Greece. His spouse Pagona, a country woman, was far from pleased with their home’s central location and kept complaining about not being able to have a hen-house in the yard. In 1982 it was decided that the mansion would house the Prime Minister’s office. 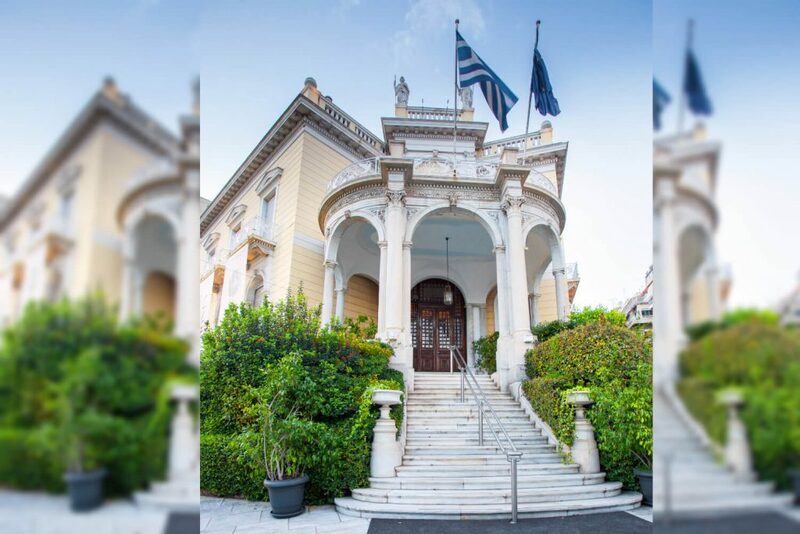 The splendid neoclassical building of the Benakis family, whose contribution to the political, social and cultural life of Greece has been invaluable, was constructed in 1867. 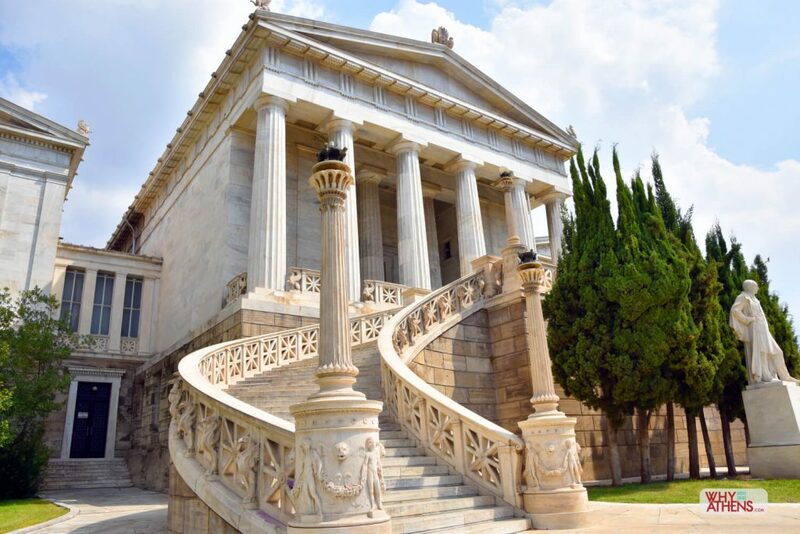 In 1910 it became Emmanuel Benakis’ residence and in 1929 his son, Antonis, founded the museum in his father’s memory, making it one of the biggest and most admirable neoclassical buildings in Athens. Antonis Benakis had started his various collections in Egypt and on moving to Greece in 1928, donated them to the Greek nation. The collections are now on public display. 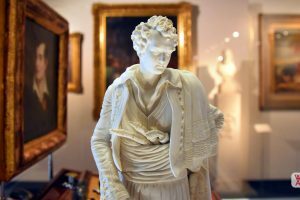 The Benaki Museum has several satellite locations around Athens. 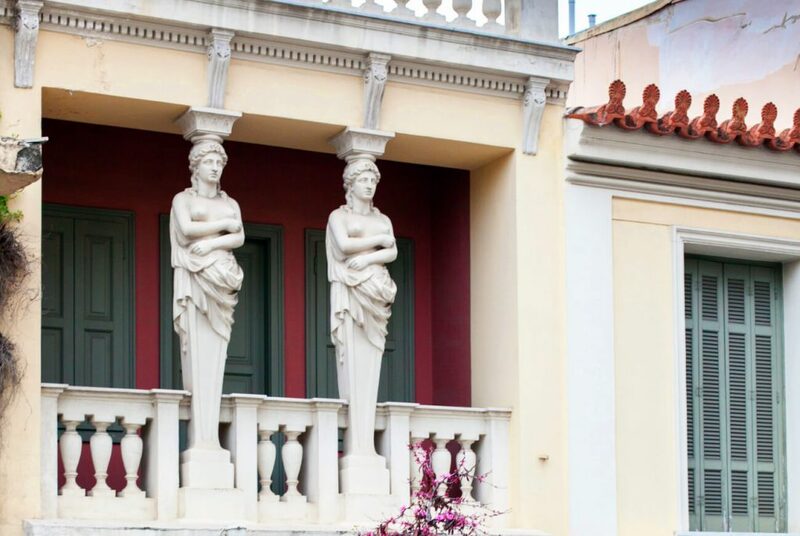 Rather humble, compared to the other buildings presented in this article, the house of the Caryatids is one of the most typical examples of the city’s early 20th century folk architecture. Urban legend has it that the owner of the building had two daughters who had a tragic death, with the two maiden statues installed in their memory. The truth is that the owner, sculptor Ioannis Karakatsanis, used his wife and her sister as models to carve the two figures. The renowned Greek painter Yannis Tsarouchis has included the house in three works: the 1952 watercolour ‘House with Caryatids’, the 1971 painting ‘House in Agion Asomaton’ and the 1988 stage setting for Aristophanes’ ‘Ecclesiazusae’ (‘The Assembly Women’). In 1989 the building was given heritage listed status and currently houses the Association of Greek Olympic Winners. 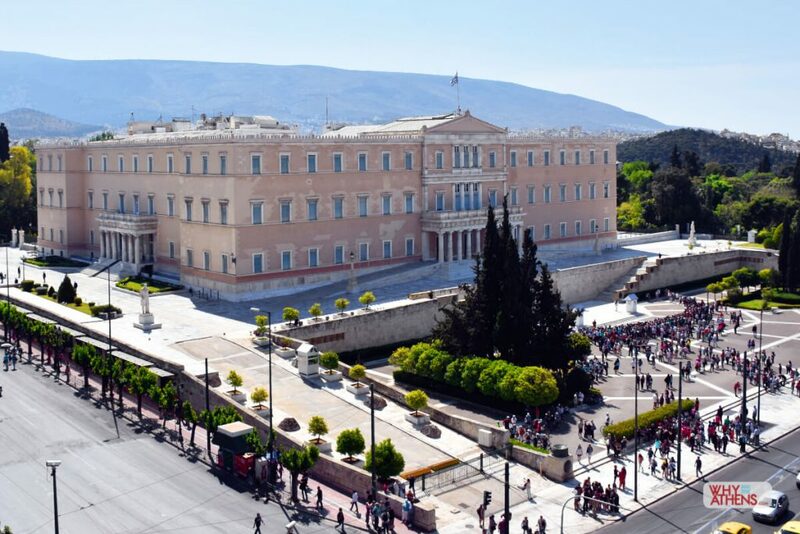 Athens would have been a completely different city today if Friedrich von Gaertner, the official architect of the Bavarian court, hadn’t selected Syntagma as the location of King Otto’s palace, the first monarch of the modern Greek state. 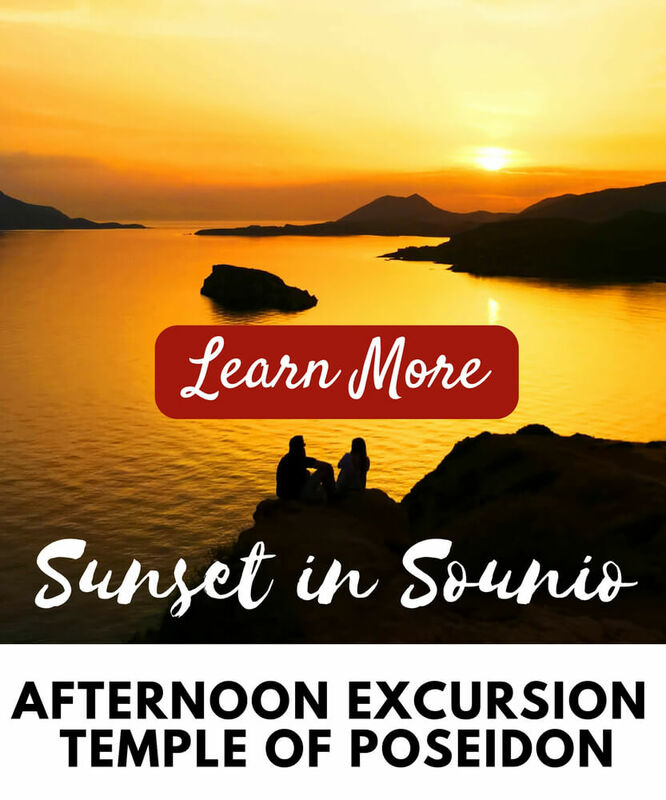 Other suggested alternatives were Kerameikos, the foot of Lycabettus Hill, Omonoia Square and the Acropolis. King Otto and his consort, Amalia, moved into their new residence on 25 July 1843. Amalia personally supervised the development of the then Royal Gardens (now Ethnikos Kipos or National Gardens) that sits exactly next to the palace. Political instability and two World Wars required that the palace be used for other purposes and thus provided a premises for ministry departments and an orphanage. 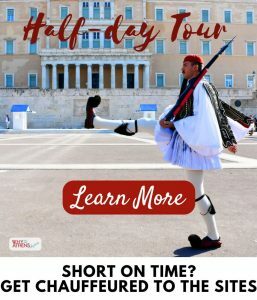 In November 1929, the government of Eleftherios Venizelos decided to relocate the Parliament and the Senate to this location, which has housed the Hellenic Parliament since 1935. Interested in architecture? 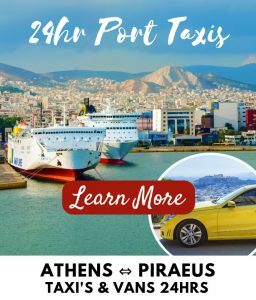 Learn more about the construction of the Acropolis during the age of Pericles.